"I received the vertical. We will put it up Monday in time for our company. THANK YOU SO MUCH FOR EVERYTHING! I will be in touch the next time I need blinds." "We received our blinds. After putting them up we invited people we know to see them. All our friends & neighbors absolutely love them! Thank you!" "Thanks again for the quick delivery on our Roman Shades. They are beautiful, and I love them. Thanks again for such great customer service." "Thanks so much for your help with this order. The customer service that you provided to me was Excellent !!!" "Thanks so much! It is great doing business with you. I will recommend you to everyone...We received the blinds and they are perfect. Thanks for such great customer service"
"Installed my woven woods and everything looked awesome. Really appreciate you and how great you were to work with." "Thank you very much!! I tell everyone I run into what a great "business model" Comfort Blinds has, terrific customer service!" "I received the replacements and they work great. Thank you for the great service! I will be recommending your company highly to anyone looking for blinds. Thank You." "The blinds arrived and I am so pleased. I am getting ready to order more. Thank you." "I received my blinds and am very pleased with them. Thank you." "Thank you... All of the shades are amazing!" "I received my blinds and they are beautiful. Thanks again for all your help." "The vanes were picked up yesterday and I am absolutely THRILLED with the result! Thank you for your assistance, it was a pleasure doing business with you!" "I am redoing the house and your site has been wonderful! The shades look BEAUTIFUL and they make the room VERY Dark! I have to order another set for my bedroom. My interior decorator is like, where did you get these?!!" "I just finished putting our blinds up. Love them, they all fit perfect. Thank you so much. I would recommend you to everyone." "We received our blinds Friday!! WOW that was fast!! They look amazing! Thank you so much!!" " We received the shade last night and was installed today. Looks great!!! Thanks so much." "Just want to let you know that I am so happy with the order I placed. They came out beautiful and look wonderful up. Thanks." "Thank you so much. Customer service from Comfort Blinds is fantastic!! I do and will buy all my window coverings from you & recommend you to all my friends." "Thank you... The Comfort Blinds are one of the best investments we have made. Our porch faces West and the afternoon sun is a killer. The blinds make our porch livable in the afternoon. What a great investment. Thanks again." "I just wanted your company to know that the blinds we received were wonderful. They were exact on measurment and very easy to hang. The product is of excellent quality, thank you so much and will definitely come back again." "Thank you so much for the help. I really appreciate your products and customer service. I recommend you to my friends. I can not wait to get the new blinds. Thanx again." "Thanks so much, love the blinds and fortunately my husband does too!" "Thanks for the beautiful shades...I love them." "Thanks for your prompt attention regarding the shade repair. I did receive it the other day and its all fixed. I am impressed with your terrific customer service! Thanks again." "Thank you very much for all your help. I will always refer Comfort Blinds to anyone. I have been completely happy with your company." "Wow, that was really quick. I am very happy and excited to see my new blinds and shade. Thank you for your customer service." 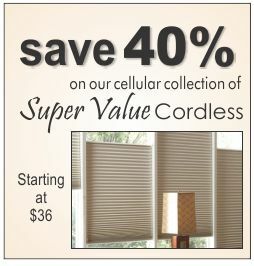 "Just wanted to let you know your site was one of the EASIEST sites I have used when shopping for blinds. It was less time consuming looking for what I wanted and your quick looks were very helpful when searching through your available product. Good Job!!" "I just placed my 3rd order with you. I have been very pleased with your quality and service. 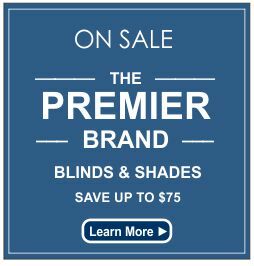 I want to order the exact blinds as I have in the past.... Thank you!" "I have received my new blinds and they are installed. I love the blinds. I am very pleased...Thank you again for your impeccable customer service." "We just received the blackout cellular shade for our babys room, and it is so wonderful! It is absolutely a "blackout", was easy to install, and it looks so great! My husband and I are very impressed. Many thanks." "I would like to say that I really like your web site, and I look forward to doing business with your company as soon as I receive the samples." "The shade arrived as scheduled and we love it! It is even more beautiful than we expected. This is our second purchase from your company and we are delighted with both purchases." "Thank you! We have received all of our blinds and they look great." "I love my new blinds. Thank you!" "I wanted to tell you how much I love my new shades. They are perfect. The price was great and I can not say enough about your service. I will be telling all my friends about your company!" "The blinds arrived on Friday, and they look very good, therefore I am dropping you a note to thank you for a great customer service experience. I will certainly use you guys in the future and recommend you to any of my friends that may be in the market for blinds." "Thank you for your efforts, it is much appreciated! ...Thanks for all you have done!" "I received my blinds and am very happy with their quality. Thank you for all your assistance." "Thank you for your help! I have the shade installed and it works well and looks great." "I have been meaning to email and tell you that I am really happy with the shades!! They look very nice. Thanks for your help!" "Your website is wonderful and so user friendly, just wanted you to know. It was streamlined and had a great selection of products. Thanks Again. "Excellent service....I appreciate your quick reply." "I appreciate your diligence... Thanks!" "The blinds are really nice and are a great improvement from what they replaced, thank you." "I got my vertical blinds today and I love them. Thanks!" "Yea, I received my blinds. I got them hung this weekend they look great! Again, thank you for all your help!" "Thank you so much for your follow up - It is so refreshing to have someone proactively follow up..."
"I just want to thank you very much for your efficiency and help on this order. We were able to get these blinds up right before our clients company arrived. Thank you for your professionalism!!" "I have requested estimates from five companies this morning and two have dropped from consideration. Your professionalism has you in the lead. I appreciate all your extra effort..."
"I really appreciate everything you have done. Thank you." "Thanks for all of your assistance and help. Keep up the Excellent Customer Service. It is hard to find that in this day and age." "Thank You so much! I do love my new blinds...they fit perfectly and they look great! Your service was great! "Your company is such a pleasure to work with. I really appreciate all you have done! Thanks again for all your help/customer service... It really says a lot for your customer service!!! Still love the shades!!" "Thank you. You all are super." "Wanted to let you know the blinds are up and look very good. Thank you again for all your help." "Just wanted to let you know I received my new blinds. I really appreciate all of your efforts...I truly appreciate your excellent customer service." "Thanks, you have been very helpful. We are looking forward to receiving the blinds.